so the last few months have been a bit crazy. we put our house on the market, sold it, moved out, and recently found a new home in the UP (7 hours away from our old home). obviously from my last post, this space was not a priority. well now that we are just waiting until we can finish our move, it felt like a great time to get my blog a little attention again. in between working on the house and taking care of children, i was able to finish a lot of smaller quilt projects. 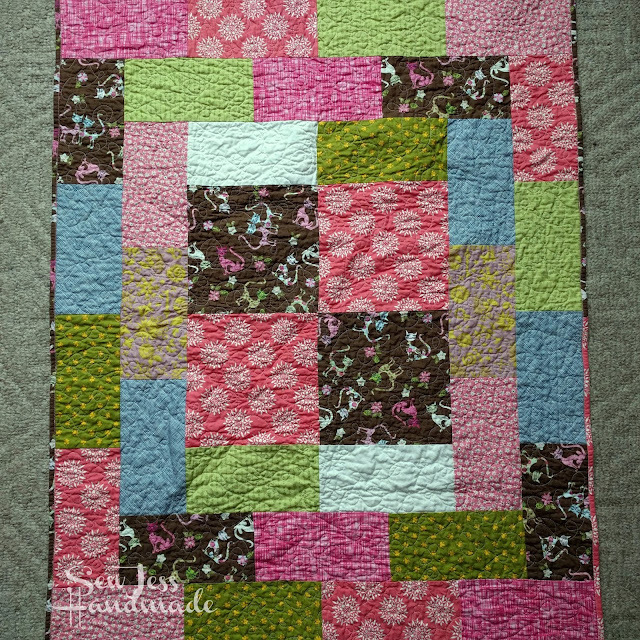 such as this little quilt for a new baby girl for a family at our church. I love a good stash buster and this one certainly did the job. 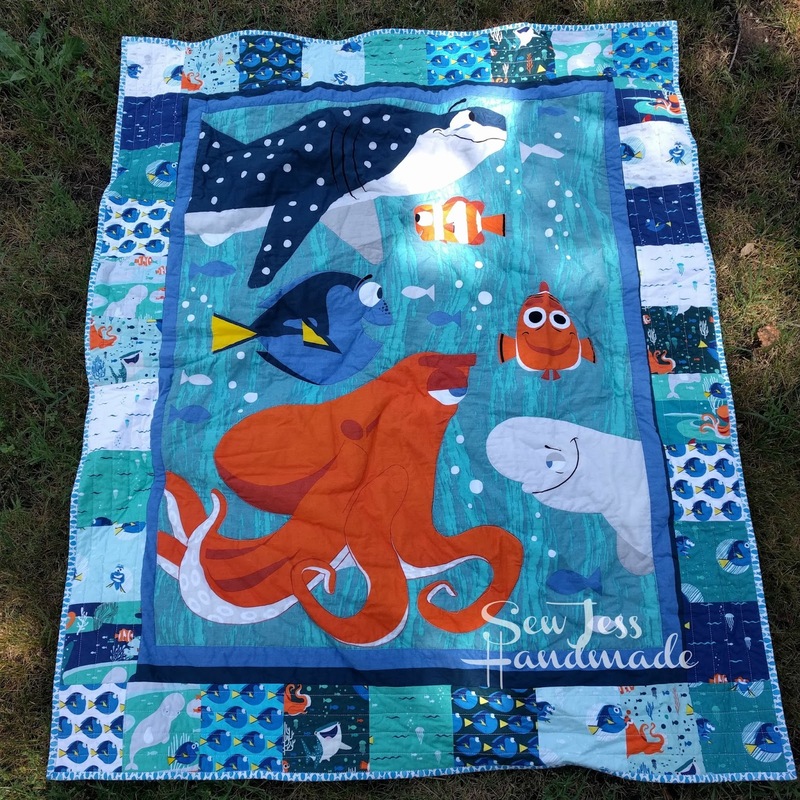 my quilt group had a movie mini quilt challenge. i love Guardians of the Galaxy and the soundtrack is amazing. 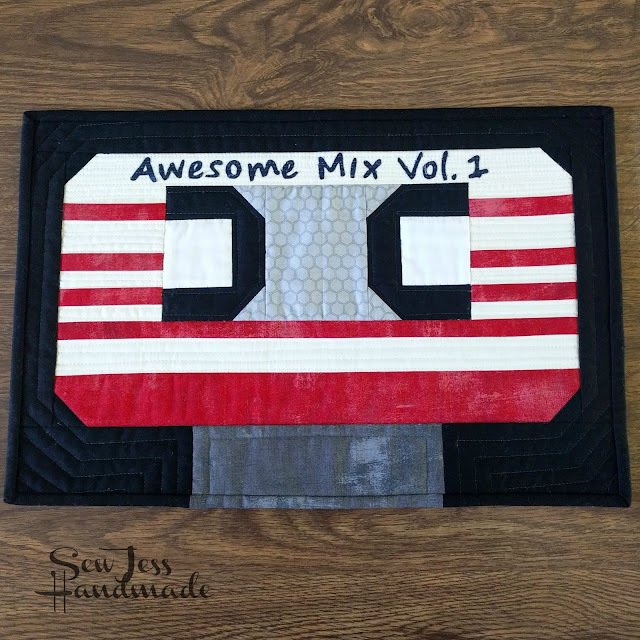 so i wanted to pay homage to the music and created this Awesome Mix Vol. 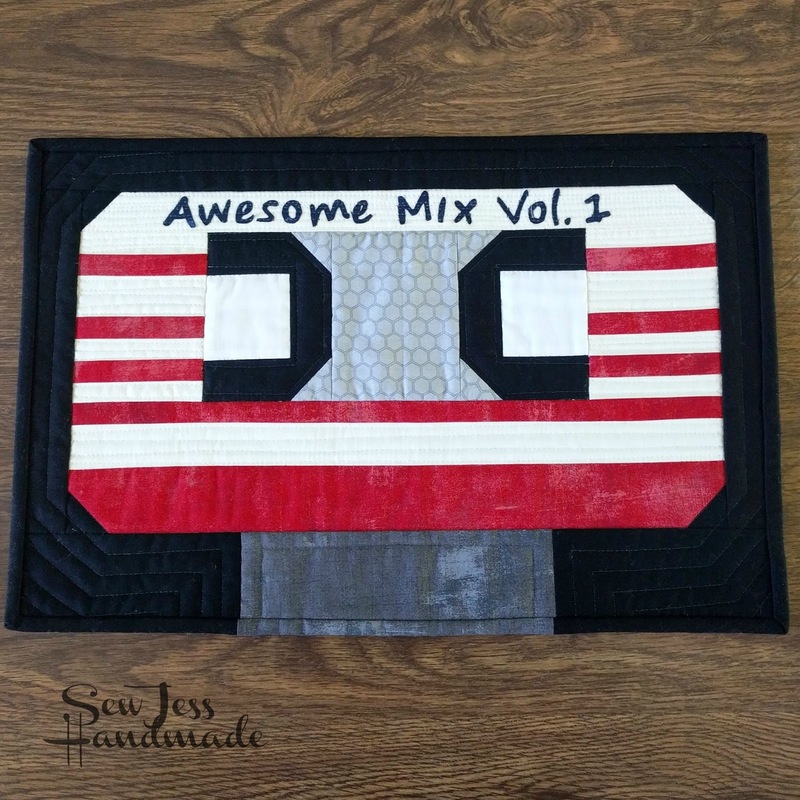 1 mini quilt. 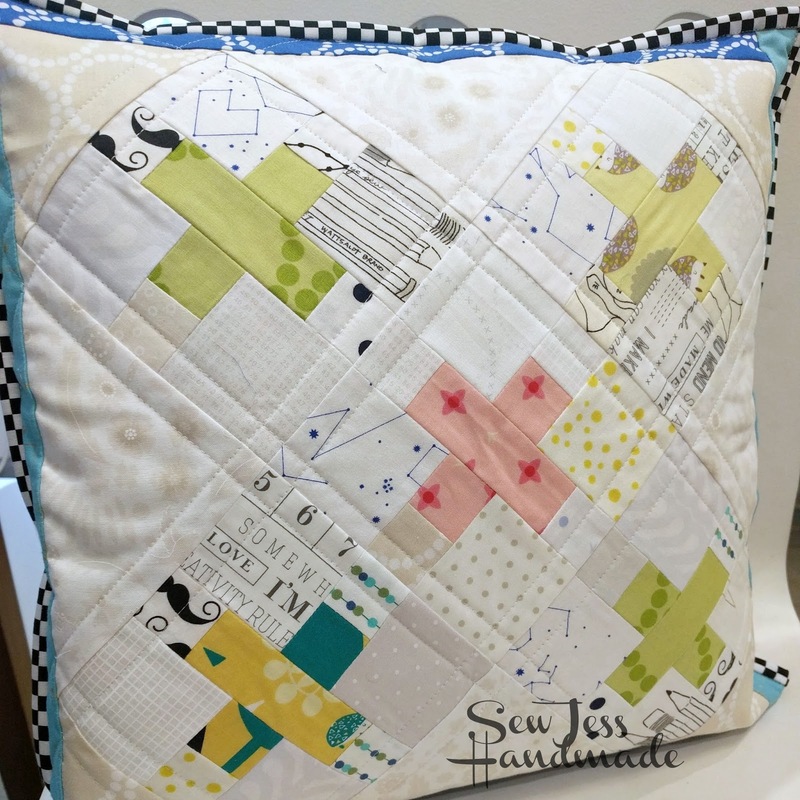 i designed this pattern a few years ago for a swap and decided to make it a little smaller this time around. and since i was on a movie kick at that time. 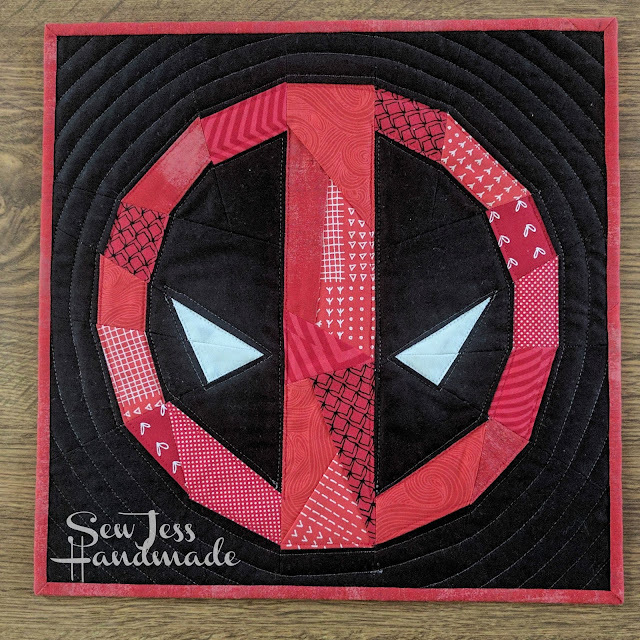 i felt is was time to finally test and finish my Geometric Deadpool paper pieced pattern. of course while trying to clean out my sewing room, meant a few more projects were started. for instance this pillow cushions came about since i needed to clean out some of my Lizzy House scraps and low volume scraps. a little 5 inch cross block and a pair of cushions later. perfect excuse to use some more of my stash! 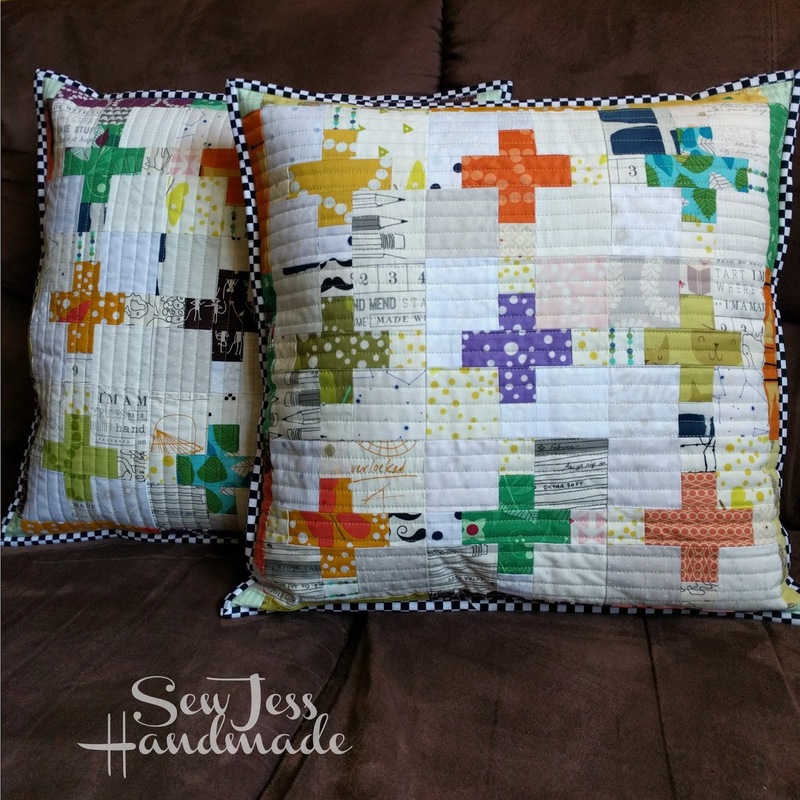 finally in my quest to finish up small projects i made another cushion our of the leftover Scrappy Lizzy House cross blocks. this time i set them on point. i really love this block on point, it just may need to become a much larger quilt at some point. so there you have it, a few of my smaller projects that i haven't shared here due to house craziness. i have a few larger projects that will receive their own post. hopefully it won't take me months to write them. So good to see what you have been up to. I did a similar thing - moving out of a big house - but we went smaller. I’ll be posting my new sewing room this week.